The Administrator of Jema’a local government area of Kaduna State, Alhaji Yusuf Mu’azu has tasked health workers of in the council to wake up to their responsibility and curb outbreak of diseases in the area. Recall that two children died while 82 others were admitted following the outbreak of diarrhea in parts of Jema’a local government area of the State recently. Mu’azu gave the charge on Wednesday during a review meeting with the health workers of the local government on recent outbreak of diarrhea in parts of Kafanchan. The administrator noted that as trained officials, the health workers should be proactive in their approach towards containing cases of outbreak of diseases. “It is expected that you make and forward immediately, reports of your findings to your director as necessary action”. He said the health department of the council had concluded arrangements to engage environmental health workers to carry out health talks at various communities within the local government and ensure sanitary condition of residences inspected. The administrator told the health workers not to hesitate and make reports of residents who violate environmental laws. “The laws that spelt out sanctions on those found wanting are still in place as such, we shall not compromise the health of the people”. 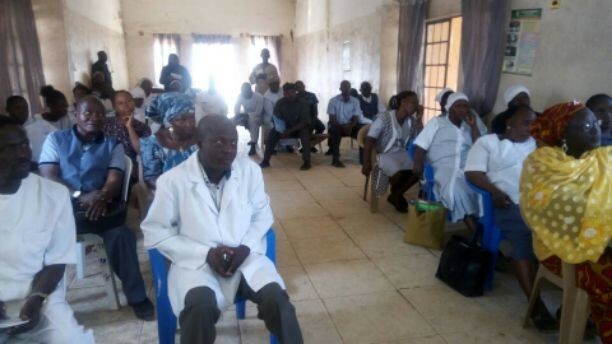 In a remark, the Director, Primary Health Care (PHC), Jema’a local government, Mrs Sarah Dadai noted that though much was still desired in terms of public sensitisation, the situation had so far been put under control.